Black Panther is one of those characters that should be a slam dunk for a movie. To borrow from MovieBob, BP is most easily described as "You ever seen Coming to America? Black Panther is that guy, if he was also Batman." It's a great, easy to understand concept that lends itself to a ton of different stories. Unfortunately, it's also a concept that's incredibly easy to screw up and piss off one or more large groups of potential viewers. know to armor my face." Black Panther is actually named T'Challa and he's the king of an African country named Wakanda. Wakanda is a lot like Atlantis or Themiscyra, in that it's technologically advanced and refuses to deal with the outside world more than it absolutely has to. The Black Panther is not just the political leader of the country, but also its spiritual leader, with pseudo-shamanistic ties to a sort of panther god. There are a number of other tribes in Wakanda with their own totems, and they vie for control of the nation through methods ranging from back-alley politicking up through ritual combat. Wakanda also sits on the only large deposit of vibranium, the material that Captain America's shield is made out of, adding that political factor to the mix. 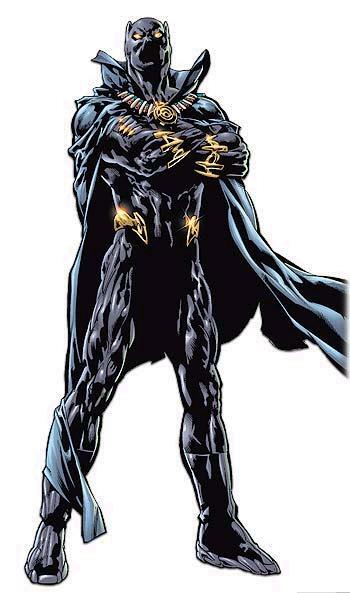 T'Challa is also a genius on the level of Reed Richards, Tony Stark, and Hank Pym. BP's really a neat character, and I recommend almost any run with the character except Reggie Hudlin's. However, that character also presents a number of problems for a studio. First off, the character is black. As I mentioned in my post on available properties at Marvel and DC, Hollywood shies away from action movies starring black actors that aren't named Will Smith, Denzel Washington, or Wesley Snipes. The fact that that generation is aging and they haven't really replaced it with a new group is troubling, both in general and for our hypothetical BP movie. There's a fear that, without one of those names that has reliably brought in the wider (also, whiter) movie-going audience, the studio will make a movie that will, at best, break even, and the break-even point for a Marvel movie these days is often at or near the billion-dollar range, after marketing expenses, etc. are figured in. Tying into this, you've got the fear of touching on racial issues in America, and the character's name is the Black Panther. For those of you that are reading this somewhere besides the good old US of A, the Black Panthers were a revolutionary black power movement that used violence and threats of violence to try to enact social change. The comic book character had nothing to do with the movement and actually predated the movement by several years, but the name still has negative connotations in the US. Then there's the fact that a bunch of BP's enemies are unintentionally racist characters like Man-Ape, and that another chunk of them are things like great white hunters (Kraven) or white men trying to steal Wakandan resources (Klaw), and you've got a whole racial minefield built into possible stories for the character. Wakanda is another problem. People sometimes say, "Well, they can do a movie in space, or Atlantis, and they can't do one in Africa?" But Wakanda presents an uncanny valley problem, writ large. It's supposed to be a peaceful, wealthy, technologically advanced, egalitarian society... sitting in the middle of Africa, the most war-torn, impoverished, least technologically advanced continent in the world, where ethnic clashes still happen. There are literally still genocides going on there. Back when Coming to America came out, I remember reviewers basically saying, "Hey, if that's an African nation and they're living like that, what is happening with their subjects? How much of that opulence is on the back of the poor in their country?" And then you expand it further. If Wakanda is more technologically advanced than America or Europe, and as wealthy, and they're just sitting there and not doing anything to help the continent around them, that's bad. I mean, on a moral level, that's really bad, and then it creates a cognitive dissonance that's bad for the movie. We'll get you in a movie yet, guys. 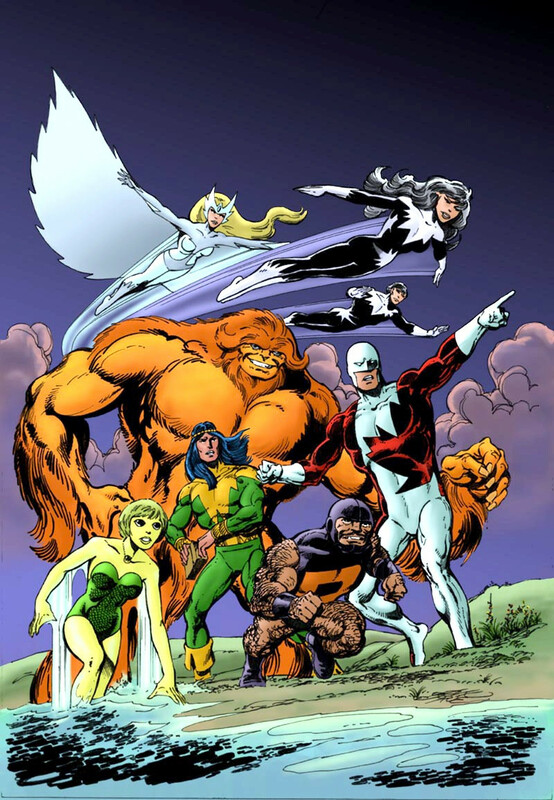 During Avengers 2, there's a brief flash of the great nations of the Marvel universe, each with their own set of heroes fighting off their own section of Ultron's robots: The UK (MI-13), China (People's Defense Force), Wakanda, Canada (hi, Alpha Flight! ), Latveria, etc. Some of these might not be available due to rights issues, etc., but we could sub in ones we need to. The post-credits sequence is Nick Fury in the Wakandan throne room with T'Chaka, T'Challa's father. If possible, I'd get Denzel for T'Chaka, in the same way the studio got Anthony Hopkins to play Odin for Thor. Fury is asking T'Chaka to enter into a defensive pact with SHIELD, saying something like, "You can see that the threats to our world transcend national boundaries. In times of great need, can we count on the support of Wakanda and the Black Panther?" T'Chaka pauses and says, "No. Wakanda will take care of Wakanda, as we always have. We are not your puppets. You go and take care of your people." A stunned and angry Nick Fury walks out, as T'Challa sneaks into the hallway and he and Nick exchange a few words, ending with, "I love my father, but he is a stubborn man. Let me talk to him." End movie. Wakanda, in the Marvel movieverse, has closed itself off from other nations, with limited diplomatic contact for over 100 years for... whatever reason. Go back as far as they need to to find a reason for isolationism; the British Empire's expansions into Africa should work. The Black Panther movie itself is a coming of age (sort of; T'Challa's already a 20- or 30-something man at this point) story for T'Challa, where he sees his father die to court intrigue and ultimately assumes the mantle of the Black Panther. Figure that somewhere in there is Ulysses Klaw, former SHIELD agent turned weapons dealer, and Man-Ape or someone similar (preferably with less racially-charged iconography), with T'Challa retaking the throne and beginning to lead his people in tentative steps back into contact with America and the rest of the world, including a call to Nick Fury with lines about "Wakanda will never be a puppet, but we will stand with you when it is in our interests" or something similar. The post-credits scene is the recruitment of Klaw by ... someone, maybe Baron Zemo, if he ends up in the Winter Soldier movie, into a group of individuals that have a bone to pick with the Avengers, with some namedropping of folks that will let the fans know this is the formation of the Masters of Evil. Obviously, there's a lot of ways they could go with the Black Panther movie. But they need to do something with it, and they need to start moving on it soon.